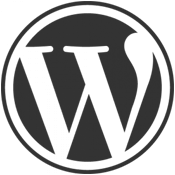 WordPress has become a common target for malicious hackers because it is easy to break into. Just last year over 170,000 WordPress blogs and websites were hacked, and for 2013 the number of hacked WordPress sites is expected to increase even more. Why is it so when WordPress itself is a very secure platform? Let’s have a look at some statistics from last year’s incidents and learn from them so your WordPress is not the next target.